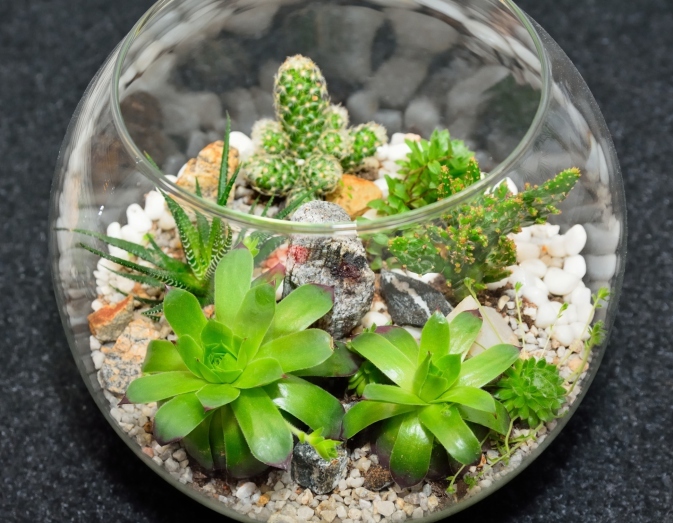 A simple terrarium can give your apartment life and color! There are a number of things to consider when decorating your apartment. What suits your tastes? What suits your budget? What suits your space? With the rise of a more eco-friendly culture, making your apartment a more green-friendly space could also be a concern. If you want a more eco-friendly and efficient apartment to enjoy, make use of these tricks and tips. If your space feels cluttered, you know what you have to do. This can be difficult, especially as many people are sentimentally attached to their objects. It is also almost impossible to revamp a space that already has too many things in it if you are not willing to get rid of some of them. This can also create long term problems if you live in smaller spaces but refuse to get rid of anything over the course of years. In order to be eco-friendly, don’t throw out what you get rid of. Try donating or selling it. Also considering purchasing only what you need in thrift shops. Rather than buying a coffee table book, make use of one of the books you bought but never read that has been sitting on a shelf for years. Rather than buying expensive vases and pots for house plants, perhaps consider using a mason jar or something you already have for a quirky look. A large part of being eco-friendly is reducing waste, so avoiding buying extraneous objects and repurposing what you already have will be key for your green apartment. There are people who believe that everything you pay more money for will always be of higher quality, but this is not always true. In fact, you can find everything from furniture to designer pieces at thrift stores for vastly discounted prices. This will not only save you money but cut down on waste as usable objects get repurposed rather than rotting in a landfill. Garage sales, estate sales, flea markets, and Goodwill are also excellent places to find cheap furniture. Eco-Friendly Decorations with Harborside Village Apartments! This entry was posted on Friday, April 22nd, 2016	at 6:45 pm	. Both comments and pings are currently closed.